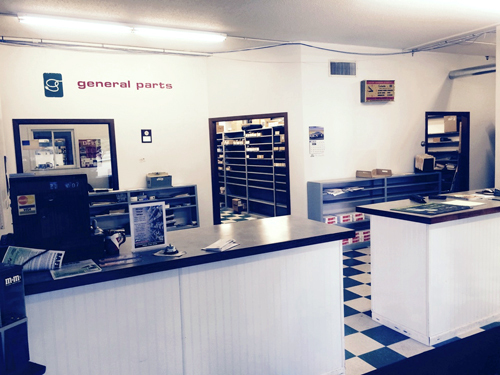 General Parts Group Fargo serves foodservice facilities in the Dakotas and Northwest Minnesota. Expert commercial oven repair and restaurant equipment repair are just a phone call away (701) 235-4161 or email NDDispatch@GP-ServiceDirect.com. Factory-trained technicians, ready to provide repair and maintenance services for commercial cooking, food preparation, HVAC, refrigeration and ware-washing equipment, staff our Fargo location at 10 South 18th Street. Customized scheduled services – We tailor a planned maintenance program to your specific needs so that your foodservice equipment is reliable. Regular maintenance prevents equipment failure, prolongs the life of your investments, and keeps your food quality consistent. 24/7/365 – We provide emergency services. No matter the time or day, our staff will ensure that your equipment repair needs don’t interrupt your business for long. Repair – All of your needs in just one service call! Our industry-certified technicians are cross-trained to make sure that whatever is broken gets fixed. Smaller movable appliances may also be dropped off at our offices for shop repair. Installation – We can also install most brands of equipment. You can schedule installation outside of your business hours to minimize disruptions to your workday repair and maintain. Quality parts – We supply O.E.M. replacement parts for most major commercial appliance manufacturers. Looking for restaurant equipment repair parts? Visit our online parts store GP-PartsDirect.com. Ground shipping if free when you pick-up the part at our Fargo location. On-time service updates – You need to know what’s going on during your service. That’s why we use an Automatic Status Update System to keep you in the know. You’ll receive emails informing you of our progress so that you can have peace of mind. Online information – Everything you need to know about our commercial appliance repair services done for you can be obtained through our customer portal on our website. Our portal contains open orders, closed orders, service history, and more. Click here to request access. 90-day Labor Warranty – We customize our approach to every individual business to ensure the most professional, efficient service possible. Your success is our priority, which is why we offer a 90-day labor warranty on our services.